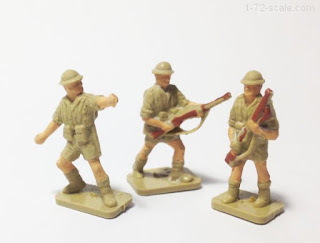 There was a time when I thought my Airfix sand-coloured plastic figures really looked the business with the exposed parts of the skin painted with good old Humbrol Matt Flesh - and of course to a 10 year-old kid they did. 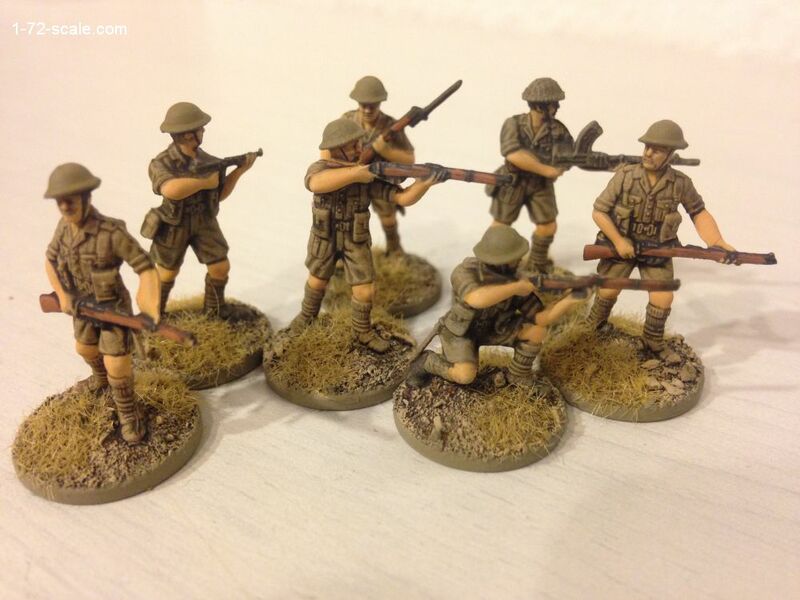 The figures below were all painted using a simple technique that brings out the detail well and allows you to finish off a large number of figures in a relatively short time. 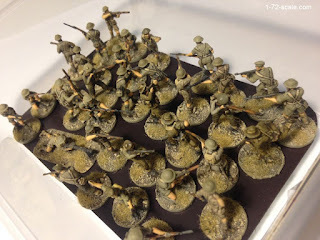 I'll cover the preparation, basing and undercoating in a separate post in more detail, but the painting technique itself is straightforward and simple as follows. 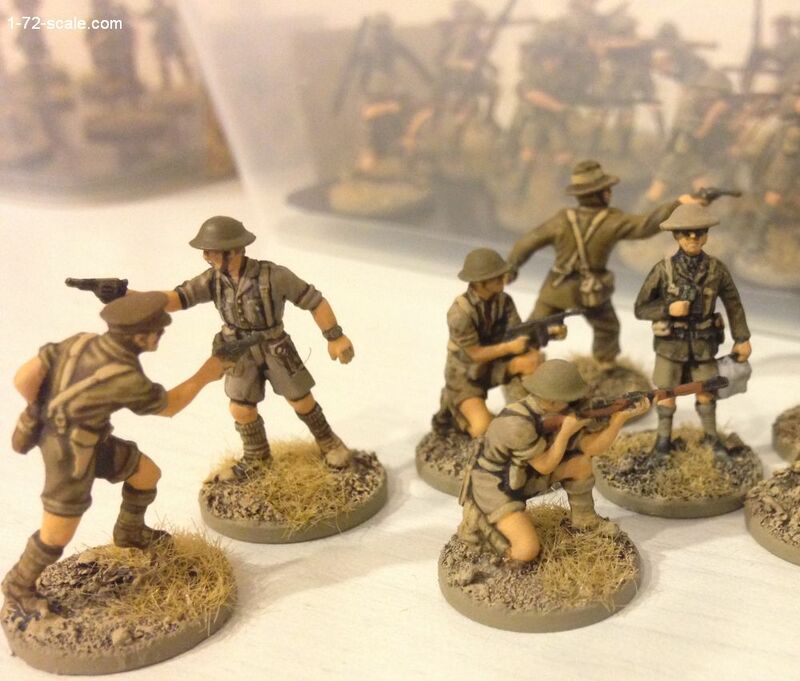 Paint a large batch of figures in the base uniform colour. 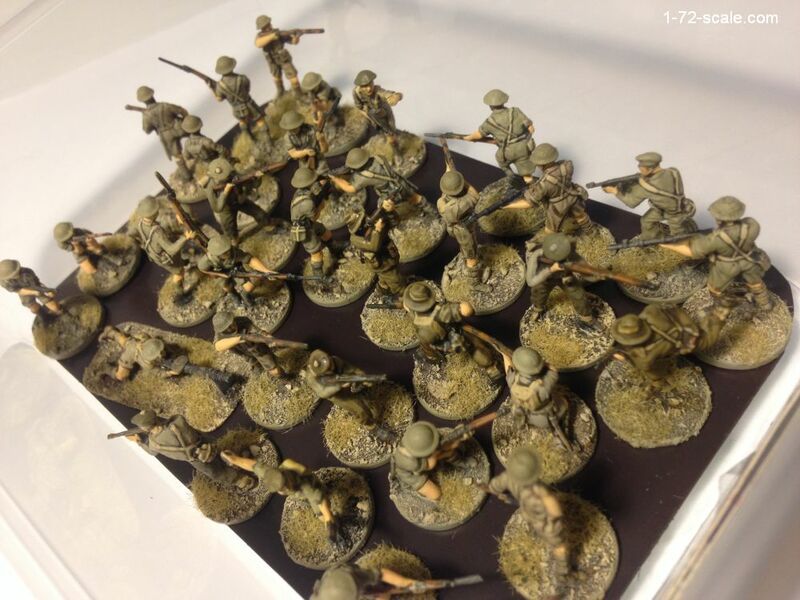 Once dry, give them a very heavy drybrush of a much lighter colour to highlight the raised uniform areas, straps, buckles, rucksacks, etc. 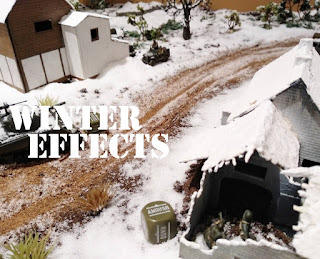 Block paint flesh areas and weapons. 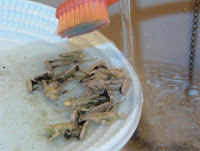 Finally finish off the whole batch with a wash to bring out the details. 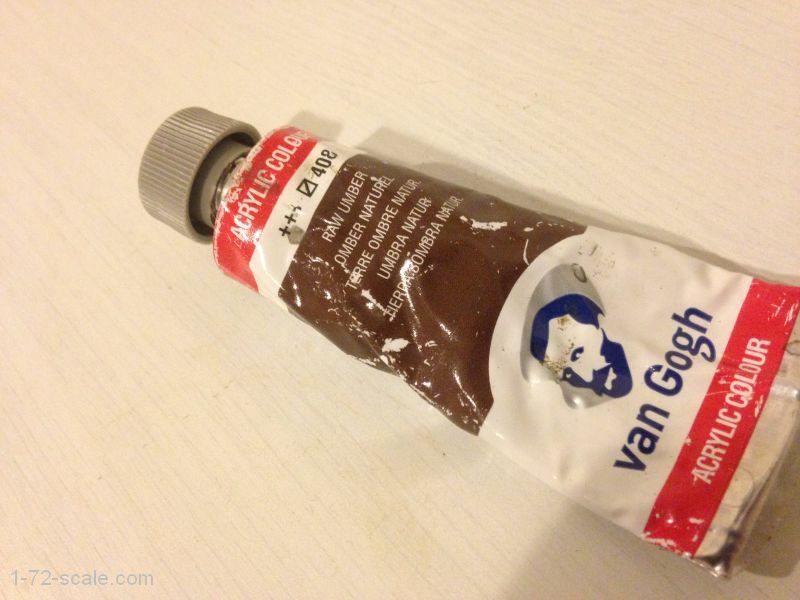 Acrylic paints are the best for this job and I generally use colours from the Vallejo range. For the 8th Army figures I've used the following. 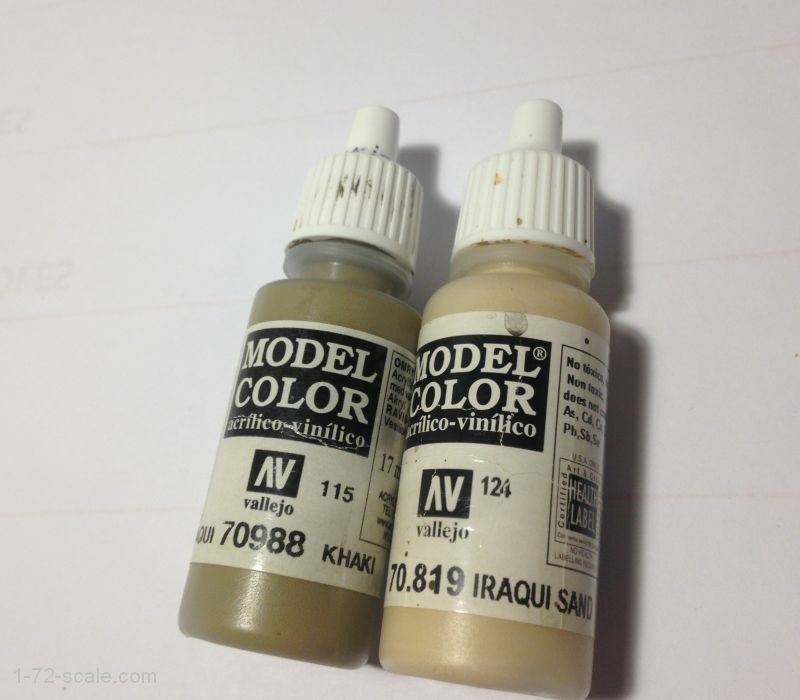 Vallejo Iraqui Sand - heavy drybrush. 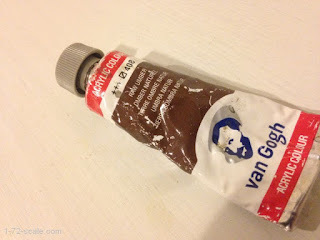 You just need to squeeze out a half-thumbnail sized blob into a bottle top or similar recipient, mix in water to get the right consistency, and paint a generous dose onto each figure. The wash will settle into the folds and crevices of the figures and once it has dried you'll see a very pleasing and subtle highlight and shadow effect. The 8th army uniform can range from sun-bleached sandy white to the darker hues of khaki brown and even green. 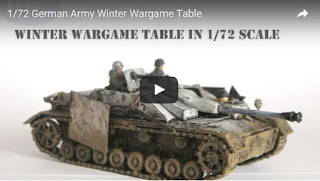 This all depends on the issue of uniform, the amount of time exposed to the sun and elements, etc., so you might want your figures to have more variation. You can use the same technique but paint in more detail before the final wash, and play around with variations on the straps, pouches, rucksacks, helmets, etc., using lighter browns, sand, other shades of khaki, greys, and so on. 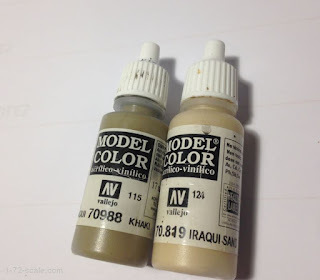 Another option is to also try with different washes using deeper shades and / or consistencies of artists' acrylics. 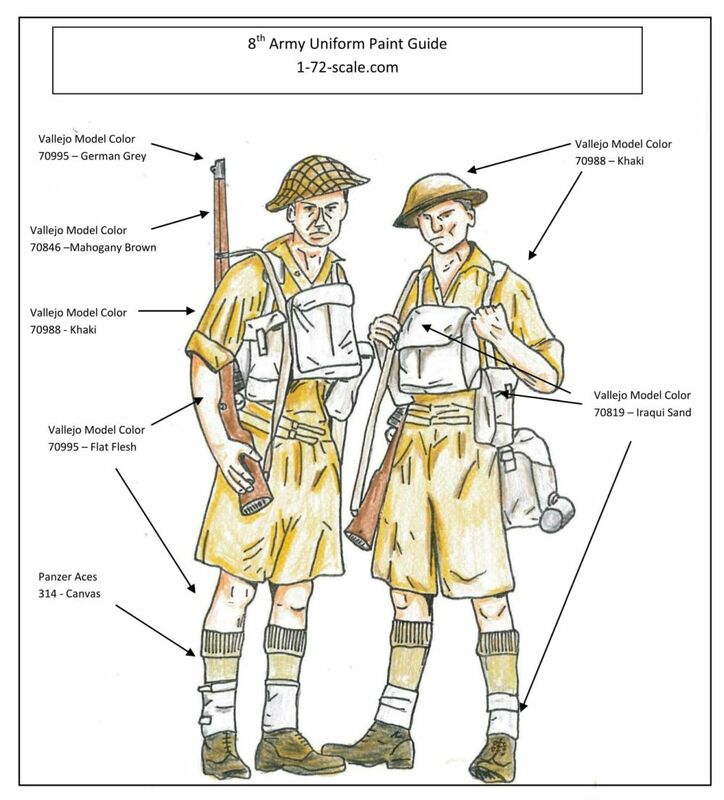 The illustration below is a guide based on Vallejo colours for painting 20mm British & Commonwealth WW2 8th Army figures. 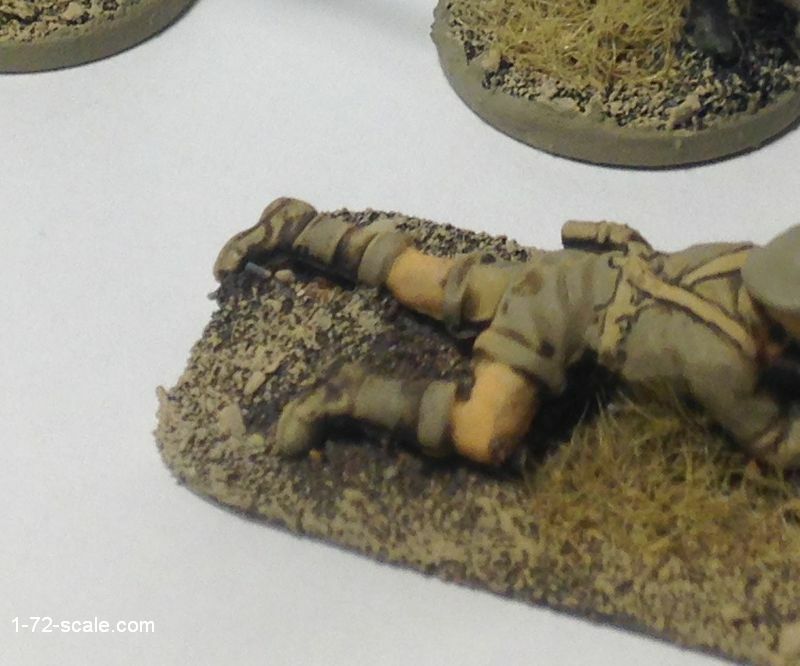 For this reason I prefer to leave the boots in a dusty shade to try and match the flocked base. There are plenty of options for painting the 8th Army and many of us have various preferences for colours and techniques so please feel free to add any comments.